North Carolina A&T beats North Carolina Central in giving challenge, but both teams win where it counts. 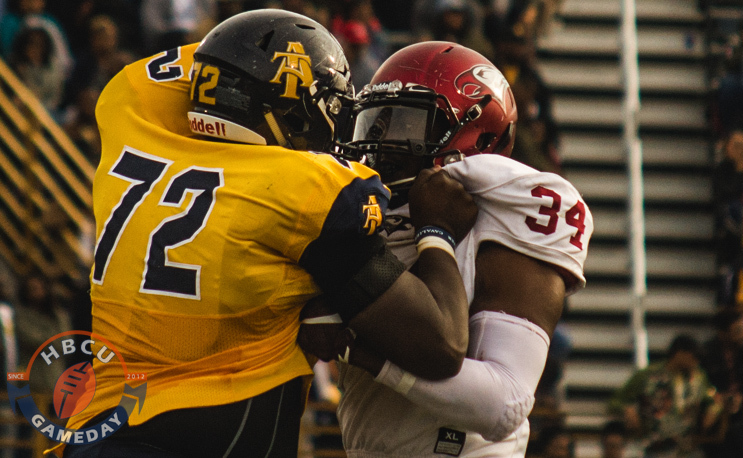 North Carolina A&T took care of business Saturday against North Carolina Central when it beat its rival 24-10 to claim the sole MEAC title. A&T won another battle against NCCU as well, although neither school really lost. A&T and NCCU were involved in a “Giving Challenge” leading up to the big game. Both schools challenged alumni and fans to give any donation to support their respective athletic departments from Nov.1 to Nov. 17. Both schools set up funds for direct giving and were given one point for every $100 it raised. In the final tally, A&T raised over $43,100 while NCCU came away with over $28,7000 for its athletic department to give the Aggies a 431-287 victory. In the end, both schools came out as winners as the money can definitely be used in the athletic departments. A&T will add these funds to the money it receives for representing the MEAC in the Celebration Bowl for the second time in the game’s three-year history. Congrats to the Aggies and the Eagles.